Do you want to advance and enhance your dance practice and that of others? Are you passionate about dance and human movement sciences? This programme is aimed at students who want to understand how and why physiological, biomechanical, psychological and somatic approaches to dance practice can be researched and applied, in order to improve dancer potential, reduce injury risk, enhance wellbeing, and ultimately keep dancers dancing for longer. Applicants will be asked to attend an application event where they will participate in a dance class, an informal interview (normally in pairs), and submit a short written task. The departments of Dance and Sports and Exercise Science have strong links with a variety of organisations and dance companies and has for many year engaged successfully to place students in a work experience or placement. We’re really lucky at Chichester to have the facilities that we do, the dance studios are amazing and the labs too…The staff are incredible at making sure you’re comfortable and happy with what you’re doing, and always there for support. The course has a great combination of practice and theory… It’s interesting how we learn something in a physiology lesson and then are able to apply it to technique or performance classes. This transfer of knowledge helps us understand the information from multiple perspectives. Our Dance Science degree can be studied as a three years Bachelor of Science with Honours (BSc (Hons) Dance Science) or as a four year integrated Masters of Science (MSci Dance Science)*. This exciting programme will develop your skills and passion for dance, along with your knowledge and understanding of human performance sciences. Through a combination of core and elective modules, you will study the disciplines of Physiology, Psychology, Biomechanics and Somatic Practices, underpinned by scientific research methodologies. Daily studio practice offers you a physical dance experience whilst theoretical underpinnings are explored via group lectures and workshops. Applied research skills are honed via hands-on laboratory sessions. Throughout the programme you will have opportunities to perform, to participate in and conduct research, to undertake work placements, and to pursue modules which are aligned with professional qualifications. 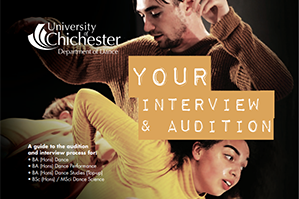 There are also options to connect your research with the resident student dance companies, 3Fall (undergraduate) and mapdance (postgraduate). As you progress through your three-year BSc or four-year MSci you will be able to choose a specific pathway of study, enabling you to focus your studies in the area of Applied Performance or Health and Wellbeing. The Applied Performance pathway offers a focus of knowledge and application to dance training and performance contexts, whereas the Health and Wellbeing pathway offers a focus of knowledge and application on the potential benefits of dance for a wide range of diverse populations. 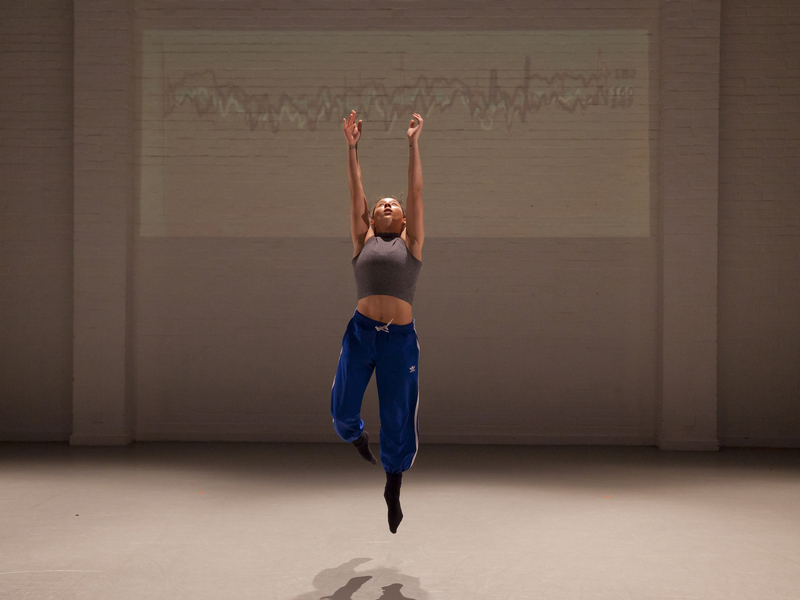 Students on the MSci extend their specialism at Master's level embarking upon a significant research dissertation and pursuing modules that focus on professional and applied techniques within dance science. Successful completion of the programme will result in the relevant knowledge and skills to meet the ever increasing demand for well-qualified Dance Scientists across a range of professional, training, educational, recreational and community-based dance and exercise settings. KEY FEATURES OF THE PROGRAMME…. Our Dance Science Programme can be studied as a three-year BSc (Hons) or a four-year integrated Master's* (MSci). The opportunity to progress onto a variety of related postgraduate programmes in the areas of Education, Dance, Dance Science, Sports and Exercise Science, Somatics offering a continuity of study and development of chosen specialism at a higher level. Links with professional and pre-professional dance companies including: Lîla Dance, Flexer & Sandiland, Ceyda Tanc Dance Company, Tribe Company, AKA Dance Theatre Company and Mapdance. *Should you choose the four-year MSci Programme you will be eligible for a tuition fee loan for the entire course. Our Programme is delivered in purpose-built dance studios and fully equipped scientific laboratories. Our students can access equipment and support from our dance technical team, and our sports and exercise science laboratory technicians, along with a range of AV recording and editing equipment accessible from the Learning Resource Centre. Two workshop spaces in the new Academic Building. Our Library offers a substantial collection of books, journals and other materials to help you further your knowledge and research. In the upper two floors there are a number of study areas for group and quiet study including Wi-Fi areas for laptop use are available, or you can use our open access PC and Mac areas. On the ground floor, you’ll find the Support and Information Zone, Media Centre, Costa Coffee and a variety of IT resources. Chichester offers a range of postgraduate programmes [EQ1] across the field of dance and sport disciplines. Our research interests’ stem from extensive applied experience and a desire to deliver meaningful research findings that relate to the ‘real world’ of dance, dance science or sports and exercise. A chance to put theory into practice in the real world context. When you come to Chichester, you join a community of students and lecturers working in partnership to ensure that your learning experience reflects best practice. We pride ourselves on the quality of the teaching given to our students. Innovation, enthusiasm and expertise combine to deliver the excellent standards that give our institution its high reputation for learning and teaching. Each module is delivered differently, depending on its content and focus of study. Along with sessions designed specifically for the dance science students, some modules include sessions that integrate with the other Dance students or with the Sports and Exercise Science students. In most modules you can expect a combination of theory and practice. A typical week within the semester will include both physical and theoretical learning experiences via dance technique classes (e.g. contemporary and ballet), supplemental training practices, lectures, seminars, tutorials, laboratory skills sessions, studio-based workshops and application of practice. Many modules will require you to complete some preparatory work, such as reading or an individual/group task. You may also be given structured follow-up tasks after a session, to further progress your learning. As you progress through your degree, you will be expected to take more and more ownership over your learning and development, directing your study into areas of most interest to you. Our course includes a mix of assessments, so that you may develop a wide range of transferable skills. You will be assessed by a variety of methods, including essays, examinations, portfolios, practical lab and studio-based assessments, lab reports, and oral presentations. Modules are assessed at every stage of the course, offering cumulative assessment of your progress. Feedback is offered along the way so that you can monitor your own progress, allowing you the opportunity to discuss and plan your development with your lecturers throughout the course. Where appropriate, special arrangements can be made for students with an identified need. Applicants will be asked to attend an application event where they will participate in a dance class, an informal interview (normally in pairs), and submit a short written task. This part of the application process is important to evaluate movement and writing competencies, as well as existing understanding about the area of study. You will normally be interviewed in pairs or threes; you will be asked about your experience of, and interest in, dance and dance science to date. We also want to know why you wish to study Dance Science at university. You will take part in a contemporary dance technique class and a creative task-based practical class. We are looking for your potential for dance study (technical and creative practice) and how you work with others on practical tasks. All applicants will be requested to send a short written task prior to interview. This task should be approximately 1 side of A4 and you will be given a topic to choose from. We are looking for your ability to express your views in writing and to get a sense of your understanding of what dance science is, at the time of applying. For more information about timings, what to wear, etc. - download the Dance audition booklet. A Levels (or combination with AS/EPQ/BTEC/Cambridge Technical): UCAS tariff 104 to 120, normally to include a science-based subject (such as social sciences, biology, PE, psychology, sport science) at Grade C.
BTEC/Cambridge Technical: DDM (Science, Sport, or Performing Arts (Dance)).